Hello, my dear friends! I hope you are fun and I bet you are looking forward to the weekend. To tell you the truth I am not…You see I will be running the biggest distance I have ever run this weekend (that is 32km) and I am kind of nervous and scared…I hope everything will be fine and that I will get through this hard part of my marathon training! Let’s move on to cooking! I am so excited about these babies! 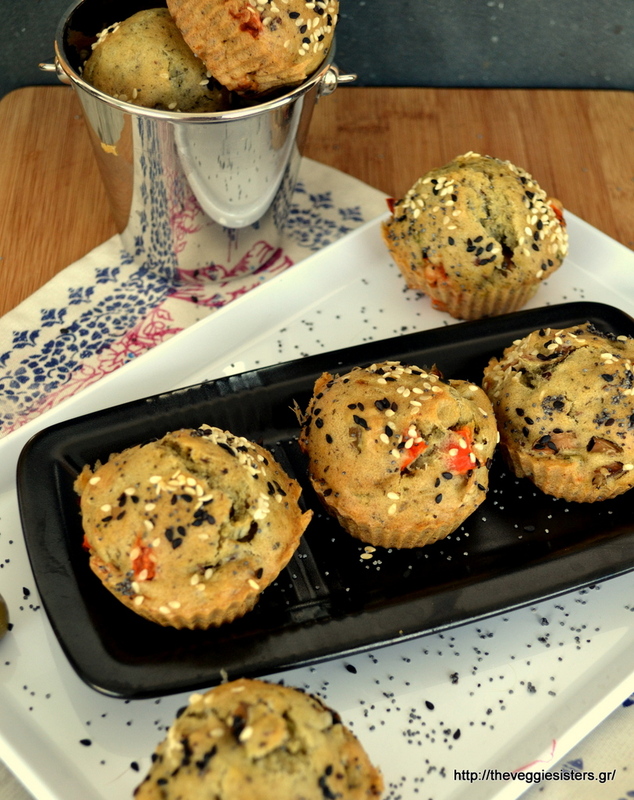 I made them the other day and we literally devoured them with my husband. 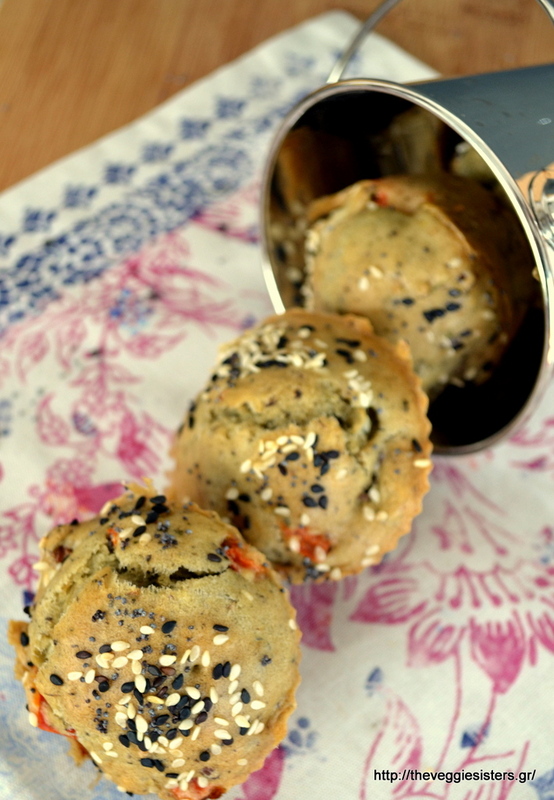 These vegan muffins are eggless, cheeseless, butterless and yet they taste heavenly! I used the excellent products that Yoleni’s brings at our doorstep within few hours. 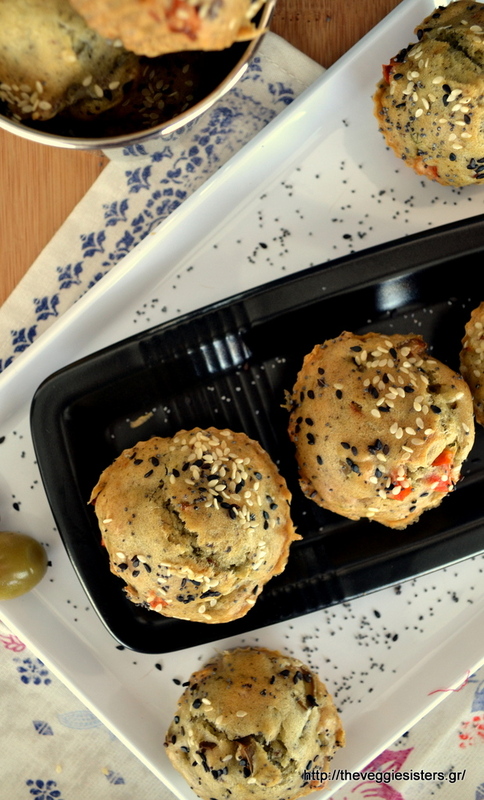 When you have high quality products, you can make exquisite dishes. That’s for sure! In a bowl combine flaxseed with water, stir and set aside. In a large bowl whisk olive oil with milk, flaxseed with water and olive paste. Add flour and baking powder and keep stirring. Then fold in olives, onion, red pepper, mint. Season with pepper and the blend for salads. I used just a pinch of salt because olives are salty. 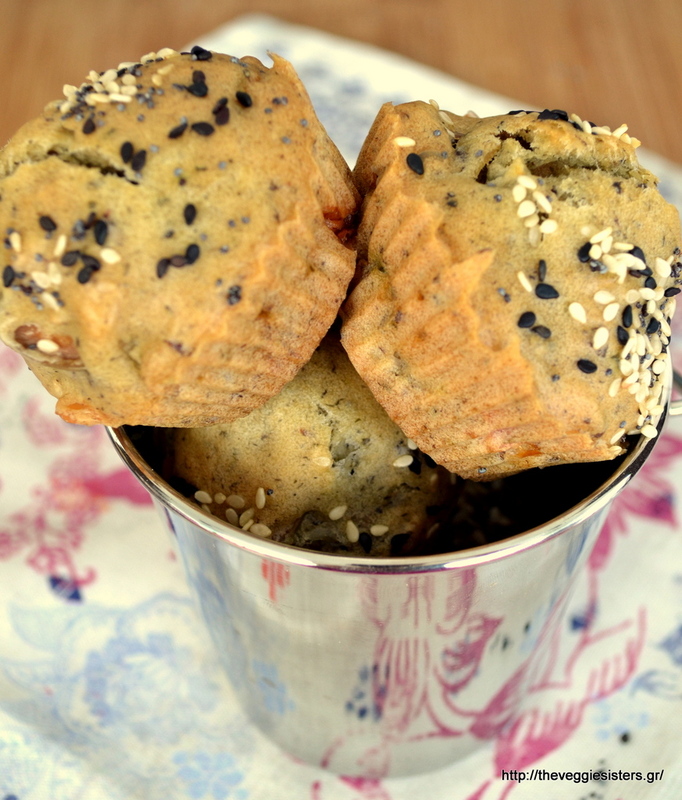 Divide batter into silicone muffin tins and sprinkle with seeds. Bake in preheated oven at 180C for about 35 minutes. Allow to cool and enjoy! 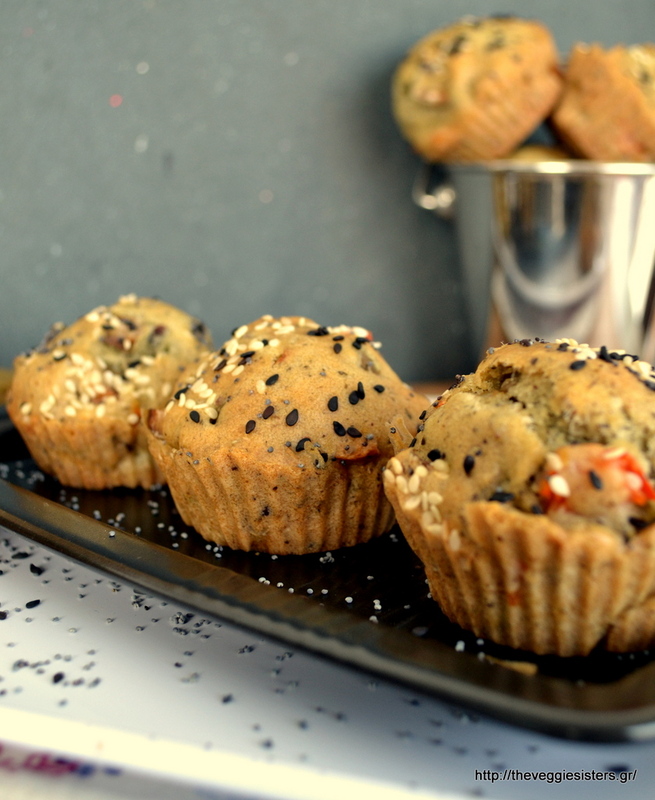 Share the post "Vegan olive muffins"